Ever wonder why your website isn’t showing up at the top of Google search results? You’ve spent all this time and money to make your website look updated and stylish, but no one is viewing it. In order to improve your search rank, it’s important to allocate resources towards your SEO (Search Engine Optimization). 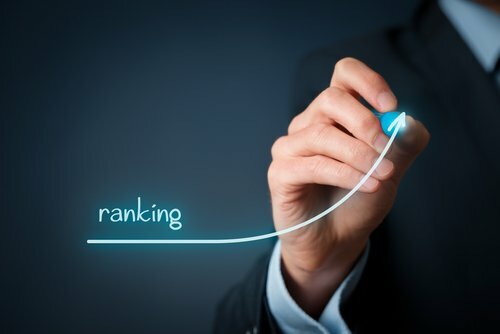 Here are a few things to look out for that could be the reason behind your ranking. Having your site properly indexed and accessible for Google to crawl is an important factor in ranking. When Google sees duplicate content, pages or articles that appear on your site and another, it has a tough time deciding what to do with it because it doesn’t want people seeing the same thing twice. This could effect your visibility to potential customers and thus result in your website ranking lower than it should. An easy way to get around this is to use a noindex, nofollow tag, which will tell Google to not incorporate the page that has duplicate content in your ranking. For example; you are opening a new dental practice and want your patients to get an understanding of the terminology, so you decide to incorporate a page of dental terms that you found of someone else’s website. Using a noindex, nofollow tag will tell Google to bypass that specific page and not include it when crawling your site, thus not effecting your ranking. Another less common way to get around duplicate content and properly index your site is use a rel=canonical tag. Using this tag tells Google that you have given ownership of the content to someone else. Although this way is effective in the eyes of Google, it is sometimes frowned upon because you want to have as much original content that benefits your site, not other sites. Links to your site and are great way to build up your SEO. The more links that trace back to your site, the more your site spreads across the web making it easier for potential customers to find you. Unfortunately, links can be just as impactful in a negative way as well. Having broken links on your site can be detrimental because Google will know that they do not work and penalize you for it. Some common causes of broken links are the entering of the wrong URL, removal of a web page, or a software update blocking access to pages. Instead of clicking through your entire site and trying to find which links work and which do not, an easy way to figure out if any of your website’s links are broken is to use one of Googles tools, like the “Disavow Tool”. It will signify which links are causing problems and help you put an end to them negatively effecting your website. Google Search Console is a great tool to help maximize your SEO. It can tell you what people are searching to find your site, how many people visit your site, as well as what areas are searching for you the most (along with a whole lot of other useful analytics as well). By using the keyword query function and finding out what people are specifically looking up that lead them to your site, you can tailor your keywords to more accurately represent what customers are searching and be found quicker during searches. For example, if you are looking to see what keywords to use for your new dental practice and notice a significant amount of people have looked up “cavity filling”, implement them into your keywords so that Google knows you want to be found for “cavity filling”. Keyword research is just one of the many ways the Google Search Console can benefit your site and the sooner you start utilizing it, the quicker you can benefit from it. If you want help improving your search rank and SEO, Boston Web Marketing is the place to go. Boston Web Marketing prides itself on offering top of the line search engine optimization techniques. Whether your company be local or national, Boston Web Marketing can help make your company a prominent figure in Google search rankings and potentially bring in more business. Give us a call today at (857) 526-0096 or fill out a contact form.